Just a week away from its much-anticipated return, BTS released teaser photos for its upcoming “Love Yourself: Answer” album. 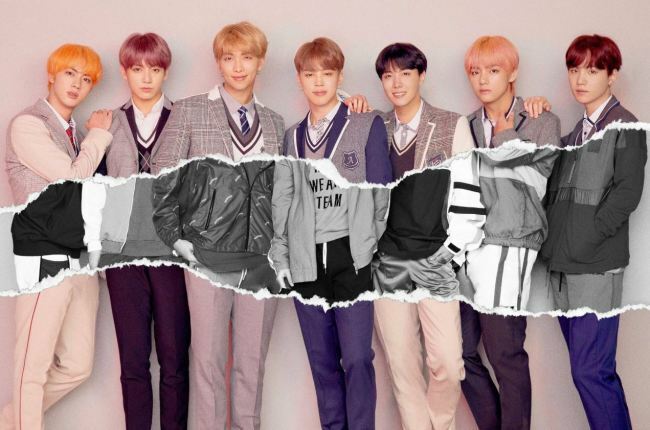 BTS had also released four different sets of teaser for its “Her” and “Tear” albums, which spelled out “Love” and “Your,” respectively, completing the title of the “Your Yourself” series. Taking the form of torn images cut in half, the “L” photos feature the members clad in uniforms on the intact sides, while the black-and-white torn sides show hints of more casual outfits such as T-shirts and hoodies. The solo pictures, also split in half, show the members in formal outfits such as suits and blazers. While the “L” versions had a serious vibe, the “F” photos are brighter. Against a backdrop of intense blue, the members pose at a colorful jungle gym, donning youthful, sporty outfits in a group photo. The individual shots feature the members hanging out in their own ways, such as hanging from a bar or sitting atop the jungle gym. Upon the release, social media started buzzing with interpretations of the mysterious photos. Many fans noticed that J-Hope was wearing different shoes on each foot in the jungle gym photos, raising the possibility of a hidden message. 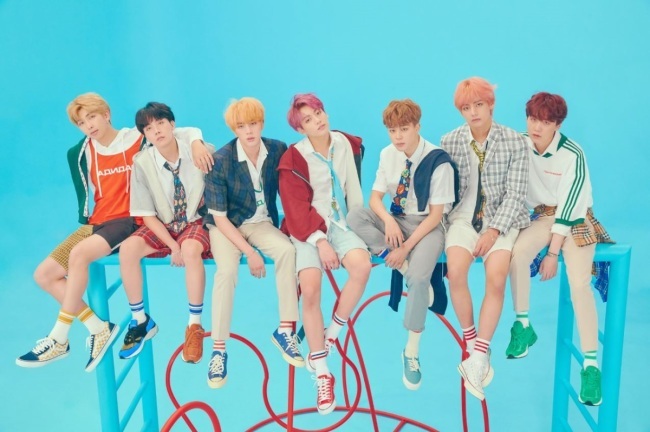 Completing the group’s “Love Yourself” series, “Love Yourself: Answer” is set to be released on Aug. 24 and will feature seven new songs. A day after the release, the act will kick off its world tour “2018 BTS World Tour Love Yourself” at the Olympic Stadium in Seoul, and head stateside next month for the North American leg of the tour. BTS recently received the Diamond Creator Award from YouTube for surpassing 10 million subscribers on its official channel titled Bangtan TV.